Arthur H. Rosenfeld, who had served as Chairman of the FAS Board of Directors from 2008 to 2009, was a pioneering scientist whose long career produced several scientific discoveries in the field of physics and fostered innovations in the field of energy conservation and efficiency. Affectionately referred to as “Art,” Dr. Rosenfeld died January 27. He was 90. Dr. Rosenfeld earned his Ph.D. in Physics at the University of Chicago in 1954. Dr. Rosenfeld studied under Nobel Laureate Enrico Fermi, who won the Nobel Prize in Physics in 1938 for demonstrating the existence of new radioactive elements via neturon irradiation and discovering nuclear reactions triggered by “slow neutrons.” In fact, Dr. Rosenfeld was one of Dr. Fermi’s final students before Dr. Fermi died in November 1954. During the 1970s, Dr. Rosenfeld shifted his research focus energy conservation and its efficient use thereof. He formed the Center for Building Science at Lawrence Berkeley National Laboratory (LBNL), which was responsible for energy-related innovations such as “transparent coating for window glass that blocks heat from either escaping [in the winter] or entering [in the summer].” Personally, Dr. Rosenfield developed the DOE-1 and DOE-2 computer programs responsible for analyzing a building’s energy, which was implemented by California state building energy standards in 1978. From 1994 to 1999, Dr. Rosenfeld was the United States Senior Advisor to the U.S. Department of Energy’s Assistant Secretary for Energy Efficiency and Renewable Energy and in 2000 was appointed the Commissioner of the California Energy Commission (CEC). In 2013, Dr. Rosenfield received the National Medal of Technology and Innovation from President Obama for his lifelong efforts and innovations in the field of energy efficiency, specifically his work in building development. 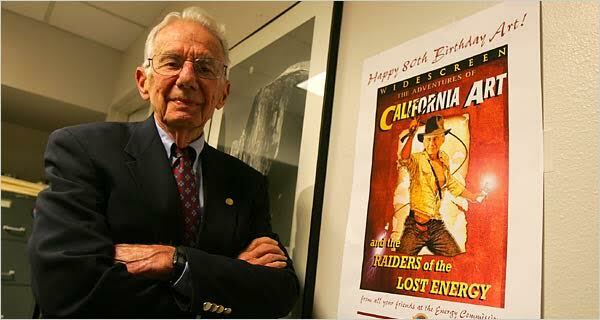 For more information on Dr. Rosenfeld’s life and achievements, visit his online biography at LBNL.